What is the history of health risk assessments? What is the difference between a health risk assessment and health risk appraisal? Why is a health risk assessment important? How can a health risk assessment improve population health? How can a health risk assessment contribute to a culture of health? Do health risk assessments increase engagement? Do health risk assessments save organizations money? Why would an organization incorporate a health risk assessment into their wellness program efforts? What should wellness and population health managers look for in a health risk assessment vendor? What kind of questions should a health risk assessment ask? What quality and compliance standards does a health risk assessment need to meet? What are considerations when designing a health risk assessment for Medicare & Medicaid populations? What cultural factors should your health risk assessment consider? What is the best way to deliver a health risk assessment? What integration options are available for health risk assessments? Why do wellness and population health managers choose to integrate HRA data into an internal system or EHR? How long does it take to integrate a health risk assessment into a portal, platform, or internal website? Do integrated HRAs results in higher participation rates? Reports indicate risk of chronic conditions like heart disease, diabetes, cancer, and obesity. Health risk assessments are widely distributed among workforce and health plan populations. The origin of the health risk assessment can be traced all the way back to the late 1940s, when Dr. Lewis C. Robbins began to document patients’ health hazards in an effort to not only treat disease but also prevent it. For the next 20 years the idea of a health hazard chart for physicians’ use progressed to a complete health risk assessment including a patient questionnaire, health risk computation, and feedback strategies. This concept was featured in Robbins’ (along with Dr. Jack Hall) 1970 guide for physicians, How to Practice Prospective Medicine. In 1979 our very own Dr. Don Hall (no relation to Jack Hall) created the first computerized health risk appraisal in the U.S. 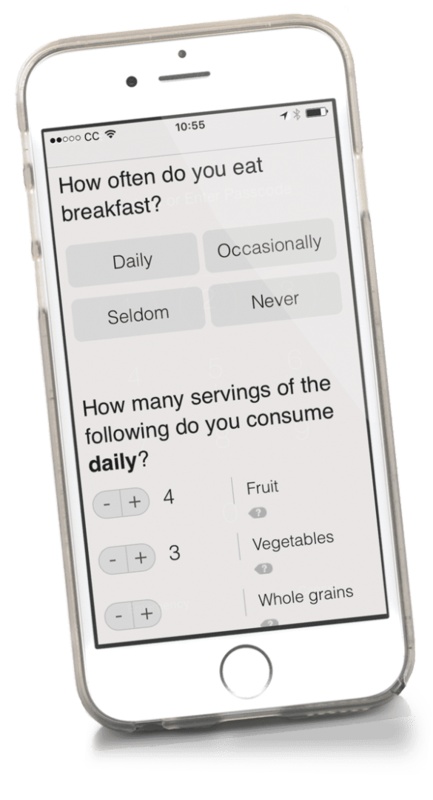 The following year the Centers for Disease Control and Prevention (CDC) released publicly available HRA software that included a self-administered survey to calculate adult health risk. This led to widespread use of health assessments in the workplace. Essentially, these terms are synonymous, as they both collect and measure lifestyle factors and health risks. Most wellness and population health managers use the terms health risk assessment and health risk appraisal interchangeably. The Affordable Care Act directed the Centers for Medicare & Medicaid Services (CMS) to require an HRA be completed as part of the Medicare Annual Wellness Visit (AWV). The Annual Wellness Visit informs care plans with the intention of reducing costs of care. CMS recognizes the value in identifying risk factors for disease and injury to help personalize care plans. Medicaid providers must conduct a health risk assessment within 90 days of enrollment for all new enrollees in order to identify and stratify risk. When David Kindig and Greg Stoddart first defined population health in 2003, they viewed it as “the health outcome of a group of individuals,including the distribution of such outcomes within the group.” Population health as practiced today encompasses community and healthcare entities and individuals working together to improve health outcomes of the populations they serve. It has evolved from being primarily focused on the measurement of outcomes to now include an emphasis on comprehensive efforts, targeted outcomes, and collective responsibility. It includes the personal, social, economic, and environmental factors that influence the distribution of health outcomes, and the policies and interventions that affect those factors. Health risk assessments allow population health managers to collect important data to influence the success of their intervention efforts. This data can help identify and segment individuals who are at greater risk for chronic disease. Health risk assessment data can also be viewed in aggregate, helping population health managers identify trends and predict risks before they arise. For example, noticing that individuals are maintaining unhealthy nutrition habits suggests that future health conditions may surface. Population health managers can act by enrolling individuals into coaching programs or lifestyle mediation before it becomes a problem. Health risk assessments serve multiple purposes for workplace wellness. Simply taking the assessment increases the individual’s awareness of their habits and behaviors. This self-awareness can often lead to healthier habits. Some health risk assessments provide health education feedback and recommendations, helping motivate employees to make positive lifestyle changes. This ultimately increases productivity and decreases absenteeism, because people who eat healthy food and exercise regularly have higher job performance and are less absent from work than their peers who do not. Health risk assessments are also an important piece of a company’s wellness program for attracting new talent, as most job seekers today expect companies to have a robust, comprehensive wellness program. According to the 2018 Global Talent Trends survey, one in two employees wants to see a bigger focus on well-being at their company. This includes not only physical wellness but mental and financial wellness as well. Treating people with chronic physical and mental health conditions accounts for 90 percent of the $3.3 trillion the U.S. spends on health care. Many of these conditions are linked to unhealthy lifestyle choices such as poor nutrition, tobacco use, and alcohol and drug use, which are among the leading risk factors for disability and mortality in the United States. One out of every four dollars that employers pay for health care is tied to unhealthy lifestyle choices. This means that a considerable percentage of employer healthcare expenses is preventable. When individuals complete health risk assessments it paves the way for them to make healthier lifestyle choices, because it gets them thinking about the risks they face and what they can do to change their lifestyle. Over time this shift in thinking translates to a shift in behavior, which reduces the amount of money that health insurance companies must pay in claims. Most (90%) of the $3.3 trillion that the U.S. spends on health care annually is spent on chronic health conditions. The Centers Office of the Actuary predicts this staggering figure will grow, on average, 5.5 percent each year, reaching $5.7 trillion in 2026. Employers and health plans cover a significant portion of their populations’ medical expenses in a highly regulated market. But healthcare services and prescriptions aren’t the only costs of poor health. Productivity losses linked to absenteeism cost employers $225.8 billion each year. Stress in the workplace costs U.S. businesses $300 billion a year, due to things like presenteeism (working while sick) and employee turnover. It’s no wonder that organizations are seeking solutions to this crippling health problem. The solution? The Community Preventive Services Task Force (CPSTF) recommends using health assessments in combination with health education programs, based on strong evidence of effectiveness in improving health behaviors in populations of workers. The CPSTF states that using health risk assessments with feedback can improve a wide range of health and safety concerns, such as alcohol and tobacco use, high blood pressure, and high cholesterol. Ultimately HRAs can reduce the number of days lost from work due to illness or disability. How can an HRA improve population health? People often get caught up in their daily lives of work and taking care of their families, and don’t always prioritize their health. A health risk assessment offers an opportunity for individuals to stop and assess their current health status. They can reflect on the unhealthy behaviors that may be a part of their lifestyle. Some health risk assessments provide a report that gives feedback on how to live a healthier lifestyle moving forward. Not only that, but they are also told of the chronic diseases that they’re at risk for. This self-awareness acts as a great motivator to make positive lifestyle changes, which on a large scale enhances population health. How can an HRA contribute to a culture of health? Health risk assessments are one of the fundamental pieces of wellness programs in both the workplace and within health plans, because they’re the first step in individuals assessing the status of their health. 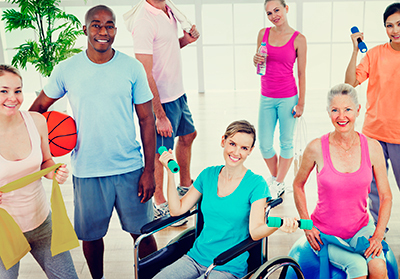 When an HRA is incorporated into a wellness program it means that a whole group of people will be taking the assessment and participating in other health related activities together, which creates a culture of health. Organizations also have the opportunity to enhance this culture of health by offering incentives for completion of the health risk assessment. When health risk assessments make participants aware of their unhealthy behaviors and result in a shift in behavior, this can have a snowball effect within a population. When, for example, employees see their coworkers bringing healthy lunches to work or going for walks, this can act as a great motivator for them, especially when they witness positive results in others. Successful wellness interventions are not, and should not be, an out-of-the box solution. Each population is unique and has its own specific needs. But a health risk assessment is a key element to engagement. Here’s an example: A Medicare member takes a health risk assessment. The HRA data shows that the individual has poor nutrition, gets most of their food from convenience stores, and indicates that distance to a store is a key factor for food choices. The member also has mobility issues. Zip code data shows that the member lives in a food desert. A case worker could help the individual identify healthy foods, arrange for meal delivery, and connect with the local adult community center’s bus service for lunches. As a result, the individual begins eating better. Concurrently, a population health manager could work on an action plan with community leaders, exploring strategies such as a community garden. The convenience store owner could be encouraged to stock healthy food options. In addition, the reporting that may be generated upon HRA completion tells the member where they are doing well, and where improvement is needed. It points out specific habits and practices connected to best health – and why it matters. The member sees the value in eating more vegetables and choosing healthier meat options. Do HRAs save organizations money? A wellness program could take several years to show a substantial direct economic return, although some programs may see results within the first year or two. However, the value of a health risk assessment extends beyond standard return-on-investment metrics in several ways. Healthier, happier employees mean less absenteeism and presenteeism (working while sick). Wellness and population health managers can compare absenteeism rates for an organization for the year prior to implementing a wellness program that includes a health risk assessment, and each subsequent year. They should notice that as health risks decline and health behaviors improve within a population, absentee rates (sick days) go down. For example, smokers experience an average of 4.1 more lost work hours per week than the typical non-smoking worker. When Principal Financial Group surveyed workers at U.S. businesses with 10 to 1,000 employees, 45% of them said they would likely stay with their current employer longer “because of employer-sponsored wellness programs,” according to a Society for Human Resource Management (SHRM) article. Wellness programs and services have almost become expected benefits for many job-seekers, and 87 percent of workers consider them when choosing an employer. Therefore, offering a top-notch program with a comprehensive HRA can help to attract the best new talent and keep it, reducing costs from high turnover. Healthier health plan members mean a decrease in expenses, as these organizations are covering all of the medical bills of their members. So the healthier their members are, the less medical care they will need, and the less medical expenses they will accumulate. For employers with self-insured group health plans, a healthier workforce equates to a direct decrease in expenses, as these companies pay their employees’ health claims out of pocket. But even employers who are insured by outside companies could reap the benefit of wellness programs (which include health risk assessments), because they may receive a discount from their health insurance provider. Why incorporate an HRA into a wellness program? Administrative reports enable wellness program managers to identify priority health issues, set internal benchmarks, create wellness programming goals, select appropriate interventions, and evaluate the wellness program’s impact on their population’s health. Program administrators should be able to access aggregate reports or raw data 24/7 to create their own reports and evaluate improvement trends over time. Participants also get useful information from taking an HRA. They become more aware of their health risks, and learn to become proactive about their health to prevent long-term health problems or improve current conditions. The health risk assessment is a critical tool for population health management. Robust HRAs identify lifestyle risk factors and an individual’s readiness to change. Combining HRA data into an electronic health record (EHR) with home care notes, social determinants of health, behavioral health information, prescription drug monitoring programs, genomics, and outcome studies can help population health managers implement relevant preventive actions that can intercept future health problems – and that helps health plans save money. Population health managers and key players in their organization choose the delivery methods for the health risk assessment, as well as the level of integration into their organization’s IT infrastructure. Assessment data can be viewed in aggregate, or filtered for a variety of factors such as change readiness. The raw data can also be analyzed in detail, accessed via the customer-specific administrative center or by incorporating the data into their organization’s internal system. It’s critical that any health risk assessment you use is evidence-based. This means that each question is crafted based on the current best evidence provided by medical research. After all, the validity of the questions is the core value of the entire assessment. Even if the assessment provides superb administrative reporting, if the questions provide little value or are inaccurate, the results will be worthless. Writing questions in a clear, concise, and straightforward manner makes it easier for participants to understand questions. The better that they understand the questions, the more accurate answers they can provide. Not only that, but if users understand recommendations they’re more likely to incorporate them into their lives. For Medicare and Medicaid populations questions should be written at a basic reading level. This means explaining complicated medical terms and avoiding the use of more difficult language so that participants can understand the assessment. For Medicaid populations specifically, there are state-by-state requirements regarding the necessary reading levels of all healthcare information. Readiness to change questions help guide population health managers when determining which wellness initiatives to invest their resources in. It is much easier to take proactive steps to prevent these life-altering diseases than to treat them after they’ve become serious health concerns. It’s much cheaper too. Population health managers may enjoy millions of dollars in ROI if they invest in areas relating to health habits that their members are ready to change. Trending capabilities of a health risk assessment show progress from one year to the next. Many participants will remain a member of a workforce or health plan population for several years. That’s why it’s advantageous to be able to monitor changes in lifestyle habits over time. Trending capabilities can include the ability to isolate members of populations that were present from one year to the next (also known as a cohort), or compare two nonconsecutive years of data. This information is critical as claims do not tell the whole story, because preventing a disease won’t appear through claims data. Choosing the right health risk assessment is a big decision. There are a lot of variables. 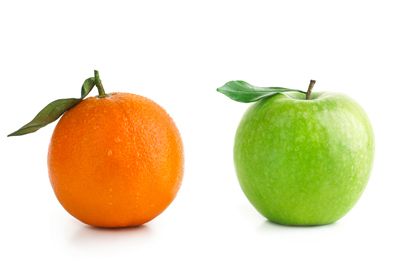 So identify your essentials and compare vendors. We’ve prepared a checklist to make life a little easier for you. Designing and maintaining an evidence-based, effective health risk assessment takes a lot of time, money, and resources. An organization can hire highly paid research, development, engineering, design, quality assurance, and compliance staff to do it in-house. Or they can use a respected, proven, already certified health risk assessment. Here are 10 reasons to outsource an HRA. What should wellness and population health managers look for in an HRA vendor? There are many other features to consider involving content and design, security, integration, customization and reporting, performance, and reliability and trust. What kind of questions should an HRA ask? Questions for Medicare and Medicaid populations might include questions on Activities of Daily Living (ADLs) and Instrumental Activities of Daily Living (IADLs), or whether an individual has transportation issues. Any health risk assessment vendor should be compliant with Health Insurance Portability & Accountability (HIPAA) regulations and with common security standards, such as Service Organization Control (SOC) 2 requirements. SOC 2 includes the Trust Services Principles, Criteria and Illustrations for Security, Availability, Processing Integrity, Confidentiality, and Privacy (TSP) Section 100. The HRA vendor should have a disaster recovery and business continuity plan in place. And it should conduct monthly screenings on all employees, potential employees, and contractors who will furnish goods or services to determine whether they have been excluded from participation in Medicare, Medicaid, the Children’s Health Insurance Program, and/or any federal healthcare programs. A health risk assessment should be built using solid science, derived from guidelines and research published in peer-reviewed medical journals and from leading health organizations and thought leaders. Scientific and health standards should undergo routine review at least annually by doctorate-level health professionals, with additional periodic review throughout the year. Its quality should be confirmed by an independent agency, such as the National Committee for Quality Assurance (NCQA). HRAs designed for targeted populations, such as Medicare or Medicaid, should comply with government recommendations and laws pertaining to health risk assessments. What are considerations when designing an HRA for Medicare & Medicaid populations? Health risk assessments designed for Medicare and Medicaid populations are required to meet quality standards (NCQA or equivalent). Medicare HRAs must meet Activities of Daily Living (ADLs), like dressing, feeding, and bathing, and Instrumental Activities of Daily Living (IADLs), like shopping, housekeeping, and laundry. Medicaid HRAs must meet the literacy standards set by each state. In many states this means that the assessment must be written at a fourth or sixth grade reading level. HRAs for Medicaid populations must also assess social determinants of health, such as what kind of environment you live in and what kind of resources you have access to. Less than 10 percent of the world population speaks English as a first language, and only 80 percent of Americans are native English speakers. It’s important that each participant of the HRA fully understands the nuances of the questions, even if that means translating the health assessment into different languages. Cultural connotation surrounding alcohol differs throughout the world. Some participants may be offended at the mention of alcohol due to societal attitudes. Drinking is illegal in a few countries, such as Saudi Arabia and Sudan. Other countries, such as Ireland and Iceland, allow greater quantities than U.S. guidelines do. While this may not change the recommendations given, it is a sensitivity to be aware of when framing questions in a health risk assessment. Although diet recommendations should stay fairly consistent, health risk assessments may ask about different foods in different cultures. For example, an HRA may ask about mutton in the United Kingdom and camel milk in Saudi Arabia. Other cultures place different connotations on colors or hand gestures. In China, for example, red symbolizes happiness and good fortune, whereas in the United States red is commonly used to convey danger. An HRA vendor should make sure that color cues to warn of unhealthy behavior align with the cultural understanding. Here’s another example: The hand gesture commonly used to mean “Okay” in the United States means something rude to Brazilians. Photos and icons must be informative without being offensive. Certain conservative cultures have different customs that need to be accounted for when designing a health risk assessment. The Arabic version of the WellSuite® IV HRA does not include non-married partners in its narrative about social support. In addition, the female version of the Arabic HRA uses a photo of a woman wearing a hijab so that participants are not offended. What is the best way to deliver an HRA? Health risk assessments can be delivered online, distributed as a paper assessment, or administered telephonically. Telephonic assessments are useful for individuals with severe vision or language challenges, while paper assessments benefit individuals who don’t have access to computers or smartphones. Online delivery is the most convenient and flexible option for most organizations and participants. HRAs that are delivered online give wellness and population health managers immediate access to as much of the HRA data as they choose, whether in detail or in aggregate. Individuals can take the HRA anywhere, at any time. An online health risk assessment should be optimized for use on any screen – smartphone, tablet, laptop, or desktop – and have a built-in timeout to protect privacy. What integration options are available for HRAs? Although some health risk assessments can be used as a stand-alone tool with a vendor-provided login page, many customers choose to integrate the HRA into their portal, platform, or internal website. Assessment data can be accessed via a stand-alone administrative center unique to their organization, pulled into an electronic health record (EHR) system, or integrated into the organization’s internal IT infrastructure. Health risk assessments can be integrated in several ways using application program interface (API) protocols and procedures. APIs are a “computer language” that allows different software applications to talk with each other. These include web services, single sign on (SSO), and client notifications and alerts. A health risk assessment can be integrated loosely, such as using SSO to direct individuals from an organization’s intranet or patient portal to the online portal that delivers the HRA. A specific API eliminates the requirement for a participant login, since the individual is already vetted through their organization’s own login method. Once the individual moves to the HRA provider’s portal, the user experience (UX) is determined by the HRA provider’s design. The HRA portal often includes an administrative portal for participant management. In this scenario, the wellness or population health manager would access HRA data, either in aggregate or personally identifiable detail, through the HRA provider’s system. Organizations can also choose to integrate the health risk assessment into their own portal. In this case, the user experience is largely determined by the organization. The only outsourced user experience (UX) is the HRA itself. The tighter the integration, the more control an organization has over the process. For example, a wellness or population health manager who chooses the tightest integration will manage all aspects of participant communication, reporting, and data analysis. The type of API available for use is based on the kind of integration selected at the time the health risk assessment is deployed. Any HRA integration should include a comprehensive, fully documented web service integration guide for customers who choose these options. Looking at an individual’s current health habits alongside social determinants of health, readiness to change, and current health screenings can help wellness and population health managers more closely match individuals to interventions that will have the best results. Combining health risk assessment data with other distinct bits of data – such as claims data and genetics – paves the way for more efficient data analysis and can improve outcomes. How long does it take to integrate an HRA into a portal, platform, or internal website? The level of integration and the availability of an organization’s information technology (IT) team will determine how quickly a health risk assessment can be deployed. Some HRAs are delivered as stand-alone applications that can be launched within days. Wellness program coordinators and population health managers should allow extra time for integration features. This will require consultation with development and IT personnel at their organizations. Do integrated HRAs result in higher participation? Integration reduces roadblocks to health risk assessment completion. A health risk assessment that fits seamlessly within an organization’s intranet or wellness portal provides an undisrupted user experience. Make someone login twice, for example, and you’ve decreased your chances the individual will start the HRA, no matter how well designed the health risk assessment might be. Additionally, it is important to know your population, and the level of integration that will give them the greatest confidence that their personal information is confidential and secure. All health risk assessments are bound by privacy and security regulations. However, integration is especially helpful when dealing with individuals who might have reservations taking an HRA that appears to be from a third party they don’t know and trust. Some members could have greater confidence answering personal or sensitive questions when an HRA fits seamlessly with a health plan’s website or portal, for example. On the other hand, an employee could be more inclined to take an HRA that is obviously offered by a third party. The health risk assessment delivery method is only one component of participation. One study found that incentive value, company wellness culture, and a strong communication strategy also had significant impact on participation rates. Of these, incentive value had the strongest influence. The Society for Human Resource Management (SHRM) recommends increasing participation by using incentives, making the health risk assessment available on intranet pages, and having it grab their attention and be easy to use. Now that you know the basics, take the next step in improving your population’s health. Do you have a workforce population in the U.S. or abroad? Do you serve Medicare or Medicaid populations? 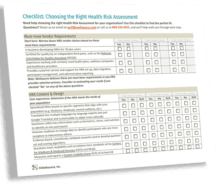 Need help Choosing the Best Health Risk Assessment for the population you serve? We’ve got you covered! Check out the health risk assessment that’s right for your needs. Use this checklist to find an HRA vendor that’s a perfect fit for your organization. Learn more about WellSuite® HRAs. Download these products sheets.